Walter Gropius’ famous words form only one of a vast array of opinions pertaining to the intersection — or lack thereof — of two key professions within the construction industry. Down the years, the relationship between architects and engineers has often been strained: While architects exercise their creative flair and seek to push the built environment to its physical limit, engineers are frequently cast as killjoys, paring designs back for reasons of structural integrity and financial pragmatism. The reality, of course, is that members of both professions rely on one another throughout the life of a project, and when their complementary skill sets are combined, some of the world’s most extraordinary buildings emerge. The stunning shells of Jørn Utzon’s iconic Sydney Opera House were brought to fruition thanks to the architect’s close collaboration with the engineers of Ove Arup. Likewise, it is possible that a certain tower in the heart of Paris may never have left the drawing board if it weren’t for Gustave Eiffel’s carefully detailed design adaptations. 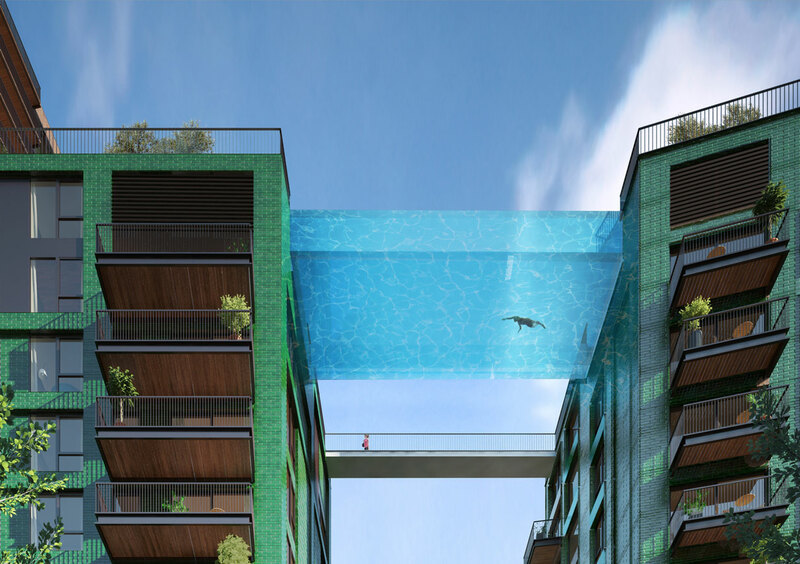 Currently under construction, the centerpiece of London’s Embassy Gardens development will take aqueous architecture to new heights — quite literally. The architects joined forces with Eckersley O’Callaghan and aquarium designers Reynolds to design the world’s first 100-percent-transparent swimming pool between two towers. The 90-foot-long structure will be constructed from eight-inch-thick acrylic panels and looks set to have pedestrians gazing up as much as swimmers will be looking down.